George Lucas has confirmed the original cast are returning to 'Star Wars'. The filmmaker - who sold his franchise to Disney last year, but will take on a consultancy role for 'Episode VII' - let slip he has asked original 'Star Wars' trilogy cast members Mark Hamill and Carrie Fisher to reprise their iconic roles, which they played from 1977 to 1983, alongside confirmed returning actor Harrison Ford. He revealed in an interview with Business Week: "We had already signed Mark and Carrie and Harrison - or we were pretty much in final stages of negotiation. So I called them to say, 'Look, this is what's going on'. "Maybe I'm not supposed to say that. I think they want to announce that with some big whoop-de-do, but we were negotiating with them." 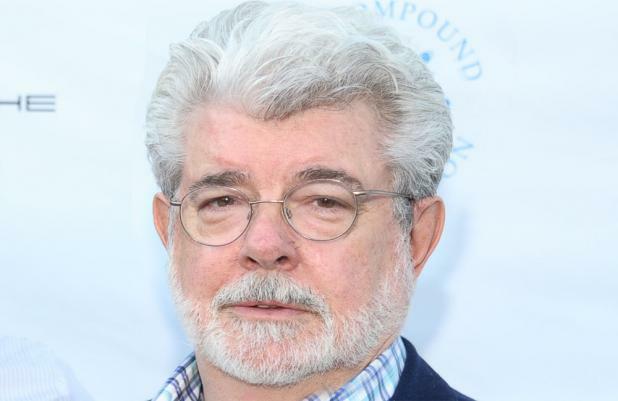 However, George appeared to realise he had said too much about his work with producer Kathleen Kennedy to bring new director J.J. Abrams' follow-up film to life for its 2015 release date, and was quick to backtrack. He teased: "I won't say whether the negotiations were successful or not." Carrie Fisher recently joked she would be back as heroine Princess Leia, the twin sister of main character Luke Skywalker (Hamill), but her representatives subsequently downplayed the claims. Mark also said he wants to get the "whole gang" of original actors back together for in the new movie.